He’s known to be one of the snappiest dressers in football today, but Paul Tisdale doesn’t know what his MK Dons team will look like yet. Dons and his former club Exeter City have not crossed paths since 2011 - always a division apart since the Grecians dropped down to League 2. Tisdale’s knowledge of his own job and squad mean he arrives at Stadium MK not knowing an awful lot about the players he has at his disposal, and he’s not ashamed to admit it. He does, however, know what he needs to make it work in his way. “To be honest, I don’t know a lot and I’m not embarrassed by that,” he said. “For 12 years, I’ve been totally absorbed with Exeter. “I’ve had a look - there are some talented players here, some good youngsters and players who have left. “I’ve got a team that hasn’t won much. We’ll make an assessment. He walks into a club that has been lost for several years, trying to reinvent itself after another long-standing manager in Karl Robinson departed in October 2016. Robbie Neilson and Dan Micciche came and went quickly, leaving Tisdale to pick up the pieces of a side which doesn’t have a style, an identity and most imporantlying, doesn’t know how to win any more. “MK Dons are in League 2 because they deserve to be there, that’s the reality of it. “We have to create a winning mentality again. “There’s no magic button to press to create a winning team - if there was everyone would push it. 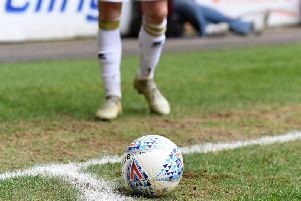 “I know what a project the club is, but to be honest, it;s a League 2 campaign and I have to make sure we’re healthy and competitive straight away. “The potential here is huge and people will see us as one of the big clubs in teh league and we have to make sure we perform that way. It won’t happen over night though. Whether that way involves passing teams to death, long-balls forwards or a mixture between the two, Tisdale is happy to admit he isn’t sure what his new-look MK Dons will look like just yet, but he is confident he can get the best of of the team. He said: “(The style of football) needs to be practical, in keeping with the league but one that encourages talent and hard work to flourish. It’s a fluffy way of saying I don’t quite know yet! “We want to be the best team in the league. I want players with the commitment, endeavour and talent to get the opportunity. We want them to play on instinct but we need to be good in defence and attack.